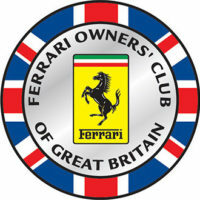 Protect you car from stone chips, swirl marks and scratches with paint protection film. Our barely detectable paint protection films are the smart, easy way to keep your factory or custom paint finish looking fresh and flawless for miles. 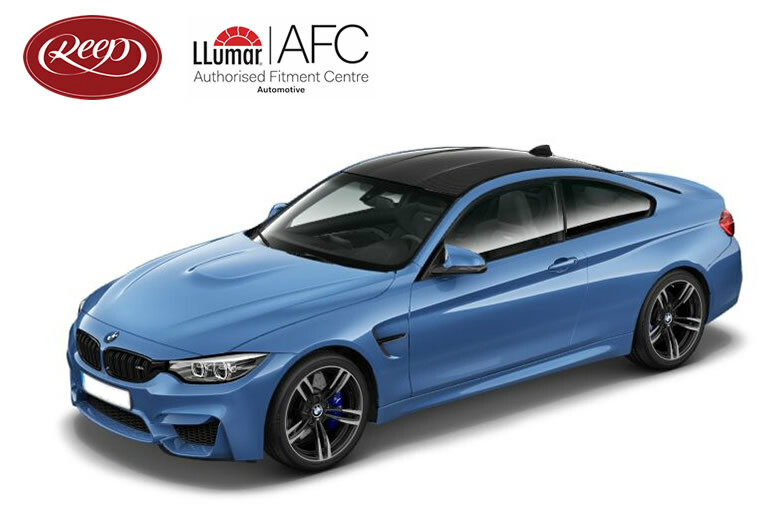 We offer two levels of protection, so you can choose the level of defence that fits your needs: Paint Protection Film for lasting durability and Platinum Paint Protection Film, for advanced armour. No matter which option you choose, you’ll appreciate what this speciality film’s self-healing properties do for the life of your finish, and for your life on the road. 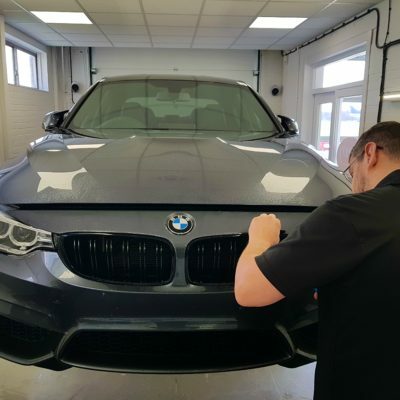 Paint Protection Film (PPF), or Stone Chip Protection Film, is a thermoplastic urethane film that forms an almost invisible shield to protect your vehicle’s paintwork from stones, scratches, minor abrasions, etc. At our studio in Yorkshire, there are many different options available when you are looking to having your vehicle filmed. We offer a wide range of options, that can cover just your front bumper, or your full vehicle. Using the very latest software and templating database, our trained installers computer cut the film using large format plotting machinery and vehicle template ensuring maximum coverage to the desired areas. Once cut, the vehicle is decontaminated in preparation for the film to be installed. A mixture of application solutions are used in the installation before finishing the face film with one of our wax or sealants. 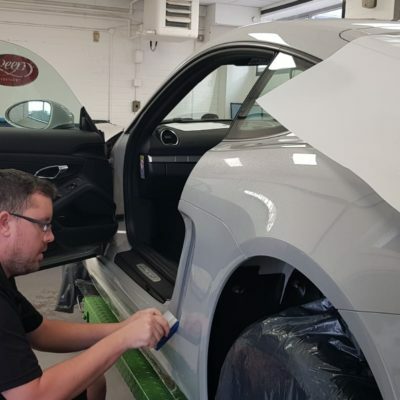 If your looking to protect your investment, and would like to know more about our Paint Protection film, please feel free to contact the team today. Take advantage of our paint protection services services. 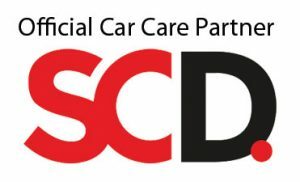 We service clients in and around South West London, Below is a list of the areas we cover, click the link to find directions from your chosen location. AREAS IN RED INDICATE FILM COVERAGE. PLEASE NOTE NOT ALL OPTIONS ARE AVAILABLE ON ALL VEHICLES.